Traveling To Russia During The World Cup: Review Of The Stadiums! As hosts of the 2018 Fifa World Cup 12 cities located across Russia have been selected to host world cup matches. Examples of which include St Petersberg, Moscow, and Sochi. To discover predictions to the nearest match and how some of the largest world cup stadiums have fared, simply continue reading. The Luzhniki Stadium, which is located in Moscow, is the largest of Russia’s world cup venues and can seat 81,000 spectators, so it’s clear to see why the Luzhniki Stadium was selected to host the first game of the tournament as well as a semi-final and the Fifa World Cup Final. The Luzhniki Stadium is scheduled to host 7 matches and has received rave reviews as tourists have found the stadium a breeze to navigate and love the view most seats give spectators of the pitch. Saint Petersberg Stadium which has a capacity of 67,000 seats also has impressed international tourists. As it’s a modern newly built stadium, which was opened in 2017. Better yet the Saint Petersberg Stadium is fully enclosed so that spectators and players are protected from the elements. Like the Luzhniki Stadium in Moscow, the Saint Petersberg Stadium is set to host 7 matches, including a semi-final match, whilst the majority of Russia’s World Cup stadiums will host just 5 world cup matches. The Fisht Stadium is a modern stadium which was built in 2013 and boasts a sizeable capacity of 48,000 seats and provides every spectator with a great view of the pitch. 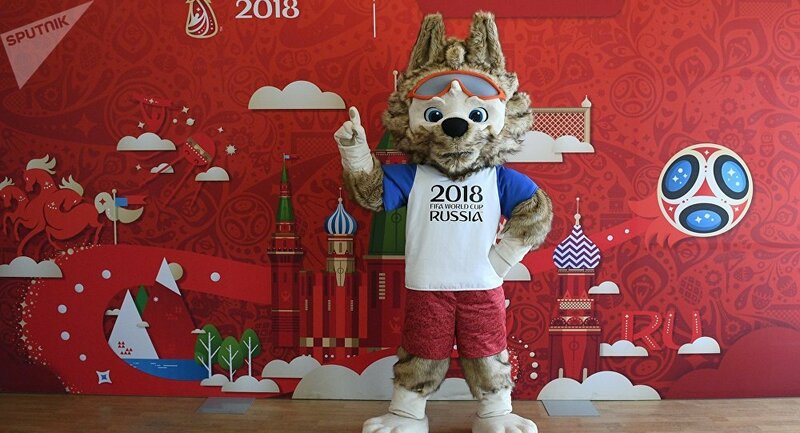 Which international spectators love as one of the reasons why soccer fans from a wide variety of countries have traveled to Russia for the Fifa World Cup is to gain a real-life glimpse of their favorite soccer stars. The Fisht Stadium is set to host one of the world cup’s four action-packed semifinal matches. Which is sure to be hotly contested. While the Ekaterinburg Arena was built in 1957, soccer fans still have raved about their world cup experiences at the Ekaterinburg Arena. The arena can comfortably accommodate 45,000 excited soccer fans as part of the arena has been opened up to accommodate extra stands. The Ekaterinburg Arena is set to host 4 matches. The Kazan Arena was built in 2013 and can host up to 45,000 enthusiastic soccer fans. As the Kazan Arena is well designed and a breeze to navigate, the large, world-class stadium has been selected to host one of the world cup’s 4 world cup quarter-finals. The Nizhny Novgorod Stadium was built specifically for the Fifa World Cup and as a result is extremely popular with spectators as it’s been designed to host soccer matches, whereas some of the other stadiums featured on this list host a variety of sports events. The Nizhny Novgorod Stadium has a capacity of 45,000 seats and is set to host 6 matches, including a quarter-final. In conclusion, Russia has really stepped up, when it comes to producing world-class venues which spectators will love! Hong Kong is one of Asia’s most prominent city states, and over the last few decades, it’s developed its well-deserved reputation as a place which should be on everyone’s travel bucket list. Combining a gorgeous harbor and natural beauty with plenty of attractions to sample, like shopping centers and cultural destinations, there’s so much to do here that you’d need weeks or months to get it all in. But to shorten the list a little, here’s a summary of the top places to visit in this truly global city. Hong Kong is one of Asia’s top shopping destinations, and it boasts a whole range of both accessible and top-end malls which are certainly worth checking out if you’re a shopaholic. Those who fancy doing a bit of luxury shopping can head to the Times Square Mall in Causeway Bay, where outlets such as Salvatore Ferragamo and Tiffany can provide you with the goods you’re looking for. And if you’d prefer to head to a mall with some less high-end brands on offer, the Tsuen Wan Plaza Mall has stores like H&M for you to try. Hong Kong is home to a number of prestigious educational establishments, and whether you’re considering enrolling yourself or your child, or you simply want to see what these buildings look like from the outside, you’re in luck. The University of Hong Kong’s Main Campus in Pokfulam, for example, boasts a beautiful main building designed in a Baroque style. And the school for Americans in Hong Kong on Man Fuk Road in Ho Man Tin is also worth a visit, although tours are by appointment only. 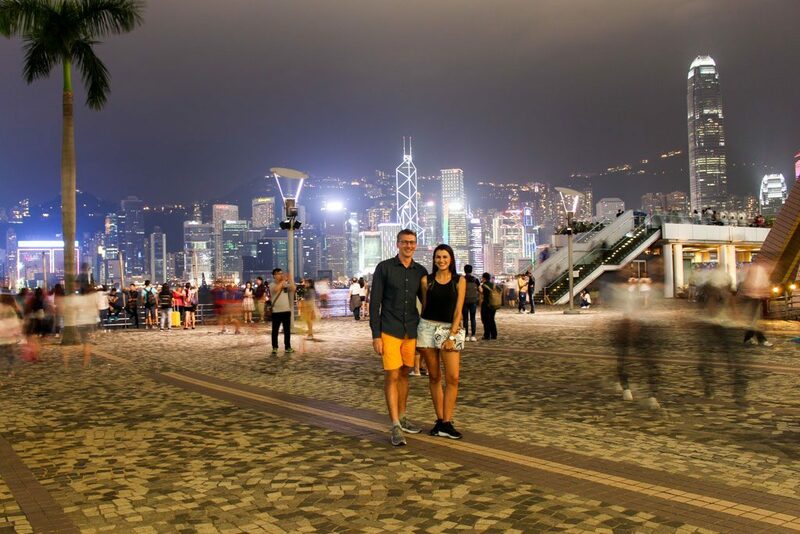 Hong Kong is a fascinating place to live, work or even just to visit, and there’s plenty of culture and fun to soak up just by walking the streets. But if you’re looking for a specific activity, you’ll be spoiled for choice here. Culture vultures and shopping fanatics alike will find something to fill their days with here, and from top shopping venues to amazing educational institutions there are plenty of top attractions to visit in this city – so don’t miss out! There’s no better way to celebrate your long-awaited vacation than by opening the throttle and chewing up the asphalt this summer. The cross-country road trip is an American classic — and for good reason! With over four million miles of highways, the US has some of the most scenic drives in the entire world. From the California State Route 1 to Route 66 and everything in between, you’re spoiled for choice when it comes to itineraries. 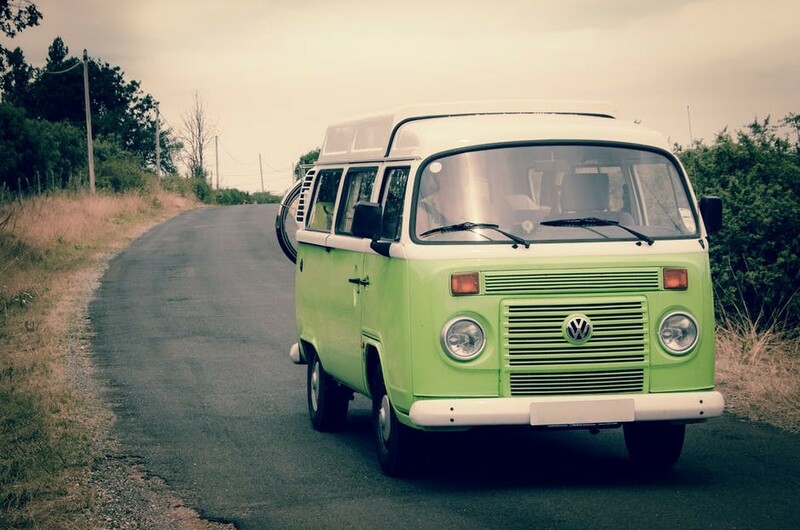 The only thing holding you back from exploring the open road is your budget. If you’re worried your finances may put a premature stop to your adventure this summer, take a look at the following tips. These hacks will save you money while you see the sights. A budget isn’t just to keep your household finances balanced throughout the year. This financial tool is there to help you figure out how you can achieve specific goals, like road tripping across the country. Most financial experts suggest tracking your expenses for at least three months. This gives you a good idea of how your money flows in any given month. It also offers insights into what you can realistically afford. On the flip side, you should also research the expenses you can expect to pay on your trip. Things like gas, tolls, accommodation, and food are high on your list, but don’t forget to balance your budget with unexpected automotive maintenance and medical emergencies. Investopedia’s made a general guide here, but it’s a good idea to confirm these costs on your own. Though gas isn’t as high as it has been in the past, it’s still an expensive addition to your trip. You can keep your cost at the pumps low by downloading GasBuddy to your phone. Its app helps you find the cheapest gas stations anywhere in the US. You may also win a weekly draw for a $250 gas card if you regularly update the app with the prices of the gas stations you pass. Do you know how to change a tire or jump your car? If the answer is “no” then it’s time you learn these automotive basics. While there are some issues only a professional should tackle, there are plenty of small repairs you can take on yourself. When you can make these repairs on your own, you can avoid some expensive automotive bills that may cut your road trip short. Sometimes you’ll encounter speed bumps on your trip that surpass your novice skills with a wrench. A fender bender, unresponsive brakes, or transmission issues may force you to call AAA. Though you may not enjoy thinking about these worst-case scenarios, it’s important you know how you’d pay for them. As mentioned above, a well-made budget will have some savings set aside to cover these emergencies. But if necessary repairs surpass what these savings can cover, would you know how to fill in the gaps? Before you take off, do some research on online payday loans. When you can find fast online payday loans, you’ll be able to pay for your repairs quickly — sometimes as soon as one business day after you’re approved. In some cases, some lenders like MoneyKey make it possible to manage your account from an app, meaning you can check in wherever you have Wi-Fi — on the road, in a hotel, or back at home. Compare this to conventional loan sources, which may take weeks to come through. Every hour spent waiting on complex borrowing processes means you’ll see less of the country, so make your choice wisely. Depending on where you plan on driving, you can skip the hotel and sleep in your car. While your car seat may not provide a comfortable resting place, you can convert the back seat or trunk space into a temporary bedroom with just an inflatable car mattress. These beds balance in the rear section of a sedan or the larger trunk space of a van and/or SUV. Once set up, they give you a comfortable place to catch some shuteye. Best of all, they’re a fraction of the cost of one night’s stay at a hotel. As long as you keep to safe areas that you’re legally allowed to park in overnight, you’ll cut some expenses out of your budget. Many of these places often end up being national camping parks, so come equipped with camping gear. The best campsites offer full washroom facilities and other amenities, and they’re always cheaper than a hotel. The road trip is America’s quintessential summer vacation, and it’s something everyone should try at least once. Don’t let something like finances put the brakes on your chance at adventure. Experience the open road by taking advantage of these financial hacks and you’ll keep our cross-country trip affordable. It is challenging to cover Penang in just a few days. 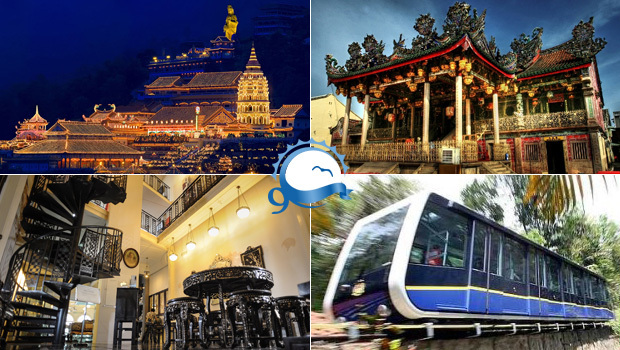 However, one should be aware of the must-see attractions and insert them in their itinerary if they wish to get the best experience out of Penang in a short space of time. So, plan your trip and start making your bookings at hotels that are affordable and offer all the latest amenities. Batu Ferringhi hotels are top-rated as they are conveniently located and provide top–touch facilities. Hard Rock Hotel Penang is a favorite as it is at a walkable distance from major attractions in Penang. One can skip the unimportant sights in Penang and focus just on the top touristic spots. Get an exciting mix of natural and cultural attractions, amusement parks and quirky offerings that are suitable for visitors of all ages. Start with the Penang Hill that offers a welcome respite from the heat below. It is a not-to-be-missed experience and offers breathtaking views of the whole island from the summit that rises about eight hundred meters above sea level. There are a church, mosque and a Hindu temple at the peak. Cheong Fatt Tze Mansion, the home of an influential Chinese industrialist, offers a peek into the 18th and 19th-century Chinese architecture. Master craftsmen from China built the mansion based on feng shui design and principles. Explore the 38 rooms and granite courtyards and admire those stained glass windows. Visit the Batu Ferringhi market filled with resorts, restaurants, and stalls. The European tourist market offers a wide range of accommodation and even those with the tightest budgets can easily find a place here. Head for the Bukit Mertajam Recreational Forest that sprawls across more than thirty hectares of lush, hilly terrain. You will come across tourists and locals enjoying camping and numerous streams and shallow pond. Trek the mountain’s summit which is a delightful hiking trail. It is a must to spend a few hours at the Escape Adventureland and get some of the most thrilling moments of your life. Find yourself hurling through the open air, and it is a pretty memorable dozen of feet off the ground. There are many other fun activities such as zip-lining, tree rope swing, and free falling. Clan Jetties form the last bastions of old Chinese settlements, and the waterfront society is made up of houses on stilt. Various Chinese clans live on water villages which are more than a century old, and each of those jetties is named after a Chinese clan. Clan Jetties are indeed the most tourist-friendly. Make a visit to the Penang War Museum that was built by the British army in the 20th century. During the WWII, it was used as a Japanese army base and today serves as a museum. It is a pretty cool complex to explore with its network of underground tunnels, ventilation shafts, and old ammunition bunkers. Another interesting spot is the Mengkuang Dam, which is located in the northeast of Butterworth. You will love its scenic landscape with jogging trails within the largest dam in Penang that contains up to 23.6 billion liters of water. Penang’s International Dragon Boat Festival is held here at the Mengkuang Dam, and dozens of traditional boats with colorful dragon carvings participate in the boat race. Fort Cornwallis is another of the most well-known landmarks of Penang. Explore the prison cells, a 17th-century chapel and ammunition storage area within its ten-foot-high walls. You will get to see cool old bronze cannons within the fort that was built in 1786 as a defensive structure against pirates. It was rebuilt with bricks and stones and thus transforming into a stone structure from the wooden fort. 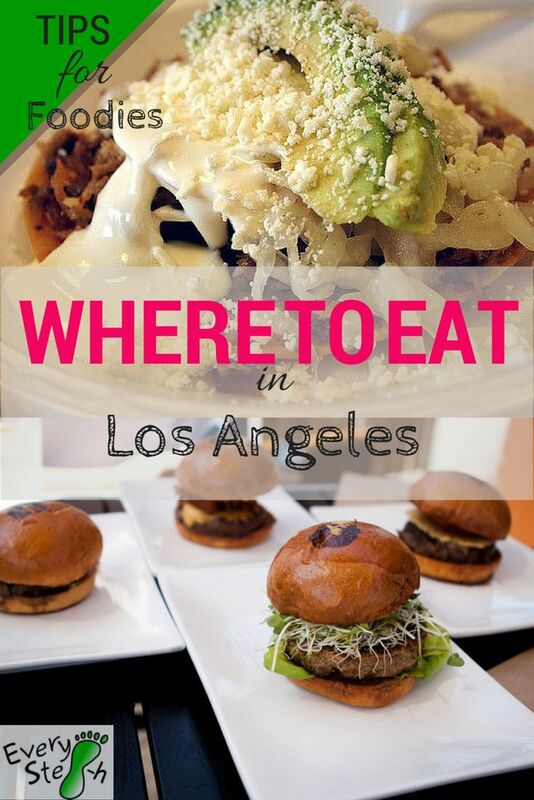 If you’re headed to LA for a trip of a lifetime and want to dine out at some of LA’s most popular eateries, However, besides going to some of the most popular attractions, and making sure that you stay in one of the most reputable Los Angeles rental homes, we suggest you read this LA bucket list which include takeaway joints, bistros, cafes, salad bars and restaurants, has some Ideas to discover some of the best places to eat on a fun-filled LA-based vacation. In-and-Out Burger was founded in California in 1948 and is an LA institution. There is even an In-and-Out Burger restaurant situated across the road from LAX, Los Angele’s premier international airport. Why are you better off getting a burger, fries and chocolate milkshake from In-and-Out Burger, rather than an international franchise such as Mc Donalds? What makes In-and-Out Burger stand out from its competition is that all of its food is made fresh, with none of the burger joint’s food arriving prepacked or frozen. If you visit, you should see employees hand cutting potato fries from whole potatoes on-site. If you need another reason to check In-and-Out Burger out on your epic LA adventure, you may be tempted by the fact that numerous A-list celebrities rave about the popular takeaway joint. Examples of which include Armie Hammer, Selena Gomez, and Emma Roberts. As La natives are well known for their collective, healthy eating habits, LA boasts numerous eateries which offer fresh, mouthwatering, health-conscious fare. So if you’re interested in eating food which is both delicious it’s well worth heading to Lemonade LA, which offers yogurt based fruit smoothies, kale and edamame salads and curried cauliflower. Lemonade LA also offers homemade lemonade in a wide array of flavors and colors. You can even order a pink lemonade. So if you’re looking to grab a bite to eat and a thirst quenching drink after a hike up Runyon Canyon or a busy day spent sightseeing, it’s well worth checking out one of Lemonade LA’s stores. While Health Nut is located in a shopping center in the San Fernando Valley and may not seem like anything special from a first glance, Health Nut is famous for its delicious salads and has a wide array of celebrity clients. Examples of whom include the Kardashian sisters who often eat Health Nut salads, on their reality shows, such as “Keeping Up With the Kardashians”. If you’re not sure which salad to opt for, as Health Nut offers a wide selection of appetizing salads, you may want to start off with ordering a tasty Chinese Chicken Salad, which happens to be one of Kim and Khloe’s favorite salads. Alternatively, you may want to try out Kendall and Kylie Jenner’s favorite salad Health Nut’s Deluxe Salad. The latter of which features chow mein noodles, sunflower seeds, sesame dressing and pickled ginger. If you’re a foodie, it’s well worth visiting Disneyland as they offer a wide array of fun cuisine which includes Mickey Mouse shaped pretzels which are filled with cheese, sugar covered chocolate churros, key lime pie and Louisiana inspired gumbo. When it comes to grabbing a meal at Disney, there are so many tasty options available, that it pays to take a look around at the various eateries on offer before making a final decision. Although if there’s one food which you have to try, it’s the pineapple Dole whip, which is served outside the Tiki Room and which is the perfect way to cool down after a hot day spent exploring Disneyland. Bubba Gump Shrimp Company offers a wide array of LA locations to choose from, however, you can’t go wrong walking into the Bubba Gump restaurant which is located on the Santa Monica Pier. As Bubba Gump restaurants are themed around the movie “Forrest Gump”, which features a scene where Forrest Gump finishes an epic cross-country run at the end of the Santa Monica Pier. One of the unique reasons to visit Bubba Gump’s is that at some point during your meal your server will ask you whether you’d like to take part in a “Forrest Gump”, themed quiz. What kind of meals can you expect to order? While Bubba Gumps is famous for its seafood dishes such as shrimp and bacon potato bites and shrimp with salsa, it also offers vegetarian dishes. So if you’re a seafood lover, you’re bound to fall in love with Bubba Gump’s fare. If you love French cuisine and aren’t on a strict budget you may want to book a table at Republique, which is the top-rated French bistro and bakery in Los Angeles. Examples of some of the dishes which you may want to try include potato and leek beignets, foie gras torchon toast and tournedos rossini. Alternatively, you may want to order a cheese platter, which will feature a wide variety of imported French cheeses, which are sure to cause your mouth to water. Nobu is insanely busy so it’s well worth ringing ahead to book a reservation for your upcoming trip to LA. Nobu is named after it’s head chef Nobu Matsushita, who is a celebrity chef who is famed for his world-class Japanese cuisine. However, what makes Nobu unique is that it specializes in fusion cooking and its menu blends Japanese fare with Peruvian fare, to offer food which you won’t taste anywhere else in the world but Nobu. If you only have time to visit once, make sure to order the black cod in miso, which is Nobu Matushita’s signature dish and one of Nobu’s most highly rated meals. If you’re keen to try Nobu’s fare head to Nobu West Hollywood, Nobu Los Angeles or Nobu Downtown. All of which offer Nobu’s full menu of delectable dishes. So if you’re headed to sunny Los Angeles and are looking to eat at as many of Los Angele’s top-rated eateries as possible on your short trip, it’s well worth heading to all 7 of the popular LA-based eateries listed above. Many of which only exist in Los Angeles and are sure to delight your taste buds!